If you lost the use of your legs, what would you do to walk again? When an automobile accident severs Ari's spine, she's willing to try anything to regain her mobility and the independence that comes with it—even travel to a mysterious clinic in the Rocky Mountains in search of a miracle. But no one will tell her how the clinic achieves its fabulous cures or how an unbelievably handsome young man living at the facility factors into the process. Can this hot young man regenerate Ari's spine? And if he does, can Ari live with the hidden price of Healing? 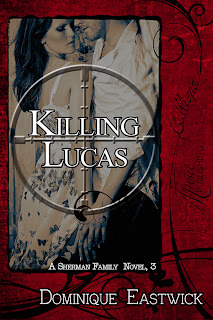 Killing Lucas is HERE!!!!!!!!!!!!!!!!!! 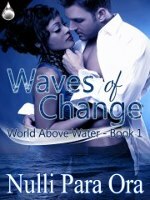 Book three in the Sherman Family Series is available where ever ebooks are sold. What doesn't kill us makes you stronger. But is their love strong enough? As many of you know I set a great many of my stories with the back drop of Boston. Because it is a town that I love. I might not live there now but it's my hearts home. And a place I hope to return to some day. For those who want to know why I love this city, take a second to watch this video. Her scream echoed through the large house. Lucas didn’t wait for a second for Kiloran to scream again. He was running full speed nearly tripping over the puppy sleeping in the kitchen door.